Our favorite railcar is settling in the Monts d'Arrée for two weeks of residence and cultural activities in Commana. The whole team moved into the collège François Manach in order to work with the students on circus history and practice and about the book, Wagabond. We are also working on a special version of the show involving the students! 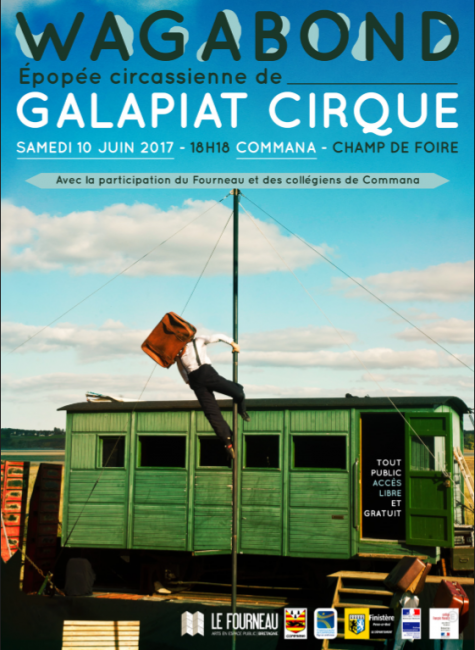 Saturday 10th of june at 6.18 pm : special show with the collège students. With the partnership of Le Fourneau- Centre National des Arts de la Rue.